Anyone who has kids or pets knows these seemingly innocent souls are actually supposed to be out of control and running riot in the house. You obviously cannot stop them being a kid but you surely can take precautionary measures to cut down on the risks of possible accidents. To ensure safety around your pool, you may want to consider installing fencing around the perimeter of your pool deck. But how to choose one? To help you out with the decision, here are some of the most important things that you need to consider while choosing your pool fence. Material: Because safety is our first priority, the pool fence should be as strong as it can get. Also exposure to sun, water, chemicals and other weather elements makes most products used in the outdoor application; vulnerable. For this reason, you choose a material that can withstand all of these. Aesthetics: Safety does not have to be boring and ugly. In fact, it can be an extra accessory to increase the value of your house. Choose a fence that meets your requirements and blends in with the background. The frameless glass fence is also famous since these are discreet compared to other fences. Maintenance: Different fence materials have different maintenance demands. Consider the amount of time you can afford to spend maintaining your fence before you settle on a material. Both glass and steel can be cleaned with a bucket of soapy water followed by a cold-water rinse. Lock mechanism: The primary purpose behind pool fence installation is to avoid any untoward incidents by keeping the kids and pets away from the pool area. So make sure the gates of your pool fence has child-proof locks. Durability: Your pool is made to last, so it’s crucial that your safety fence is equally durable. 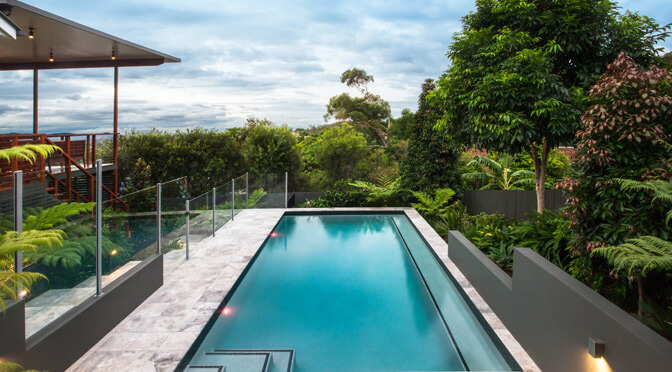 Both glass and metal fences are highly regarded for their outstanding durability. A pool fence is both practical and aesthetic. Consider the pros and cons of different fencing materials and choose the option that meets the specific needs of your pool and home. If you have other queries, call our expert team at SN Fencing and we will be happy to assist. 05-06-2018Why do you want SN Fencing to handle your glass fencing needs? 15-05-2018Glass pool fencing- With or Without Frames? 15-04-2018Glass balustrade for your balcony- Why? Scott Nesire at SN Fencing runs a high-quality business.He is customer-focused, flexible, friendly and an absolute pleasure to deal with.The pool fence was a first-class job and we are delighted with the final result.We got four quotes and Scott's was the best value by far....up to 40% cheaper than some of the other quotes.We would highly recommend Scott and his team at SN Fencing to anyone in need of frameless pool fencing. What a breeze! SN Fencing were brilliant to deal with and made the whole process of fencing our pool simple. Attention to detail, no fuss, on budget and a terrific result. I would highly recommend Scott to anyone in the market for a pool fence. I would just like to send you a note to thank you for our new pool fencing. We are so thrilled with the result. The frameless fence looks luxurious which is the result that we were hoping for. Your pricing was very competitive and it was installed within a very short timeframe. Jamie our installer was very professional, on time and made sure he was very tidy when working. We have no hesitation in recommending your services to any future clients or friends. I recently replaced the glass fence around my pool. I shopped around for a number of prices and was introduced to Scott from SN Fencing by another home owner who had also used them. Whilst pricing is important, I don’t believe that the cheapest is always best however the price differential was too great to ignore and for what I believe was a very similar product. Being in the service industry myself, I always observe customer service and Scott’s services was of a very high standard and nothing was too much no matter what time I called and he was very reliable as were his installers. Having experienced SN Fencing and if I was asked the question on whether I would use SN Fencing again, my answer would be absolutely. have your FREE QUOTE tomorrow! Call 0419 501 557 now!